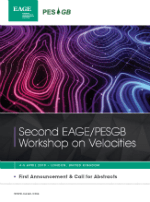 We will take part in the „Second EAGE/PESGB Workshop on Velocities“ in London on 4-5 April 2019 and we are going to present an abstract. Our colleague Dr. Eisenberg-Klein will present the abstract „JMI-FWI: Cascading workflow using Joint Migration Inversion (JMI) and Full Waveform Inversion (FWI)“ during the workshop. We present our newest flyer about „High-Res Azimuthal Analysis“. See how we improve the azimuthal information of the subsurface. Use the link to get to the download page. 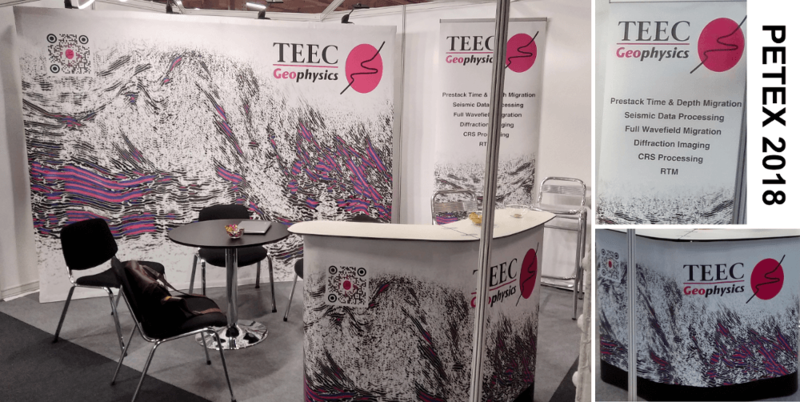 We’re proud to present our new trade fair booth. 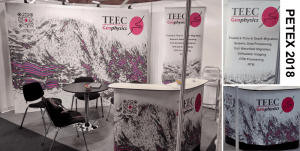 It was revealed at the PETEX 2018 in London and includes a QR-Code with the link to our new homepage. A new research study started and the TEEC group is the consortium leader in the EU co-funded project. Use the link to get more information about the study. Mr. Moustafa Elsayed from ELBA Group Limited in New Cairo – Egypt. After a first contact and some meetings the cooperation took shape. Now we are looking forward to a good joint venture. Mr. Stanley Eke Azuka from Mease Energy Nig. Ltd. in Port Harcourt – Nigeria. After the first contact we had many meetings to form this cooperation. TEEC also prepared the hardware for the first software tests at Mease Energy and assisted during the first project. We are looking forward to the next projects. The TEEC group is patricipating in the HPC related project WAVE and coordinating the research in the DIFFTOMO project. 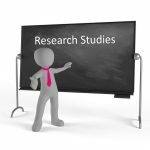 Use the link to get more information about the studies.